This class can be used to crawl a site to find PHP errors. It can retrieve the pages and images of a site and follow the links recursively to determine if any pages exhibit error messages generated due to PHP errors. The class displays an error message for any pages which are detected to have errors. Number 2 Sometimes when PHP sites have problems they do not generate the Web pages correctly. 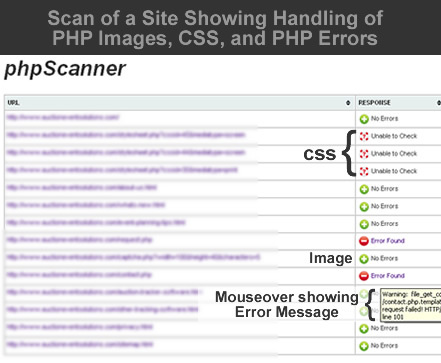 If the PHP option to display errors is enabled, they may even display the PHP errors on the pages. 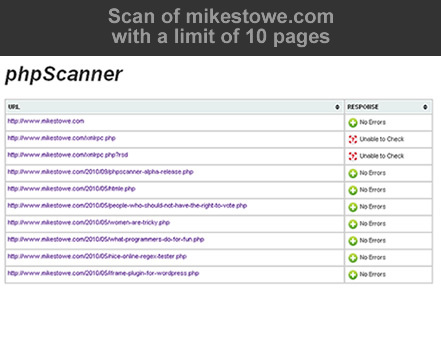 This class takes advantage of that possibility in order to detect site pages with problems. 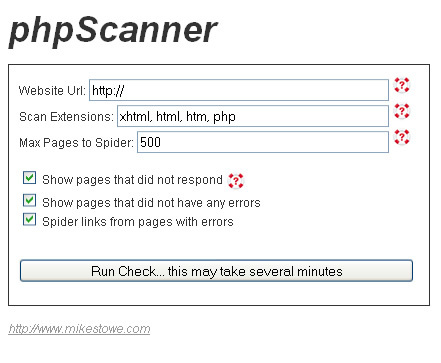 It crawls the pages of a site and determines which are displaying PHP errors.